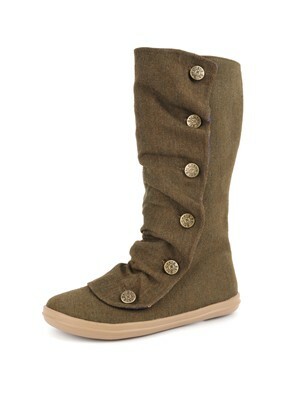 I am slightly in love with these boots, they will be for sale at Williams during April, in black or olive. I’m hoping they’ll be stocked in the store near me or I will have to somehow work out how to find them. What I would like to know is: is there anywhere that sells sweatshop-free/fairtrade/ethical boots that are fun like this? Because I think I am finally at the point where I would spend a few extra dollars to go that way (Rather than just being at that point in my idealistic head). Currently I am clueless about where to get that kind of thing and I don’t really want to buy shoes over the internet – really do actually need to try them on. Oxfam shoes (like volleys are really uncomfortable… and erm, I’m after boots). Oh my! they are amazing…I want some! Ooops, should have added great post! Waiting on the next post! wow I’ve never seen such lovely boots!! Rad times today on the boot hunt!